You might have noticed your teenage daughter looking in the mirror and didn’t like what she sees. Insecurity about their looks is quite common among teens. From imperfect smile to imperfect nose, breakouts to mole in the face, many teens are not very satisfied with the way they look. Cosmetic procedures are a new trend in 2014, as teenagers know that many such imperfections can easily be resolved with readily available quick fixes such as hair colors, blemishes cover, etc. Some serious issues require seeing an orthodontist or a dermatologist. Should Parents Allow Teens For Surgical Improvements? Teens are usually teased about their looks for which they might consider some therapy that can make changes in their appearance. Some only stretch their need to a new exercise class to address their weight issue, while other may go up to considering surgical improvements protruding large nose or ears. Rhinoplasty is one such cosmetic procedure for nose requested more often these days, according to American Society for Aesthetic Plastic Surgery. However, there are a few things parents and teenagers need to consider before finally confirming your decision with rhinoplasty procedure. The surgery isn’t something you should take lightly. Also Read: Is a Nose Job worth It? A successful rhinoplasty requires a person to be sufficiently mature – both emotionally and physically. When considering a nose job for your teenage boy or girl, take into your consideration not only the physical maturity of the teen but you also the teen’s emotionally maturity whether he/she is able to handle the surgery and deal with the recovery time and changes that occur. 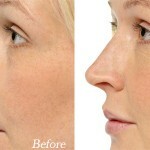 Physical maturity – the goal of a rhinoplasty surgery is to alter the look of a particular facial feature. With rhinoplasty you can expect straightening of a crooked nose, refining of the tip, removal of a bump or similar other changes to your nose. 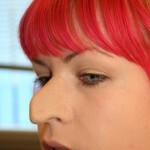 If a rhinoplasty expert perform rhinplasy on a nose that has not yet finished growing, the results might not be long lasting. Growth that is still on can change or eliminate the results completely. 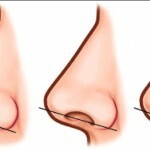 Typically, a recommended physical maturity to perform rhinoplasty is when the patient’s nose is 90% grown. 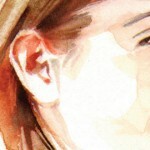 The exact age for rhinoplasty varies; it can be 14 or 15 for girls, but 18 or 19 for boys. Emotional Maturity – physical maturity isn’t the only factory, parents need to consider. Teenagers should understand that a surgery isn’t a quick or magical fix. The procedure takes time to recover and brings with it a lot of discomfort. Rhinoplasty and other plastic surgeries are not recommended to teenagers who suffer from a mental illness such as mood disorder. Before confirming for the procedure the teen and the parents both should discuss the procedure meticulously with the surgeon. It is important that teenager know everything about the surgery; form recovery time to expected results. On the condition that the teen as reached the physical and emotional maturity recommended for rhinoplasty surgery, its benefits can overweight the risks associated with it. Many teens have experienced increased self-esteem post surgery. They feel happy for their looks.